Telangana election results 2018: An aggregate of exit polls shows Chief Minister K Chandrashekar Rao's gambit of dissolving the state assembly way ahead of time paying off, with his Telangana Rashtra Samiti (TRS) party predicted to win 67 seats. 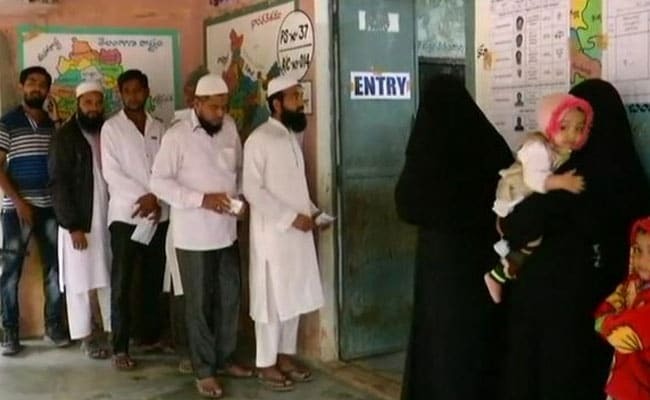 Counting is underway in Telangana, India's youngest state, along with four other states -- Rajasthan, Madhya Pradesh, Chhattisgarh and Mizoram. Early leads suggest that TRS is leading in the state. Voting for the 119 seats in Telangana, which voted for just the first time, was held on December 7. Telangana saw a voter turnout of 73.20 per cent. 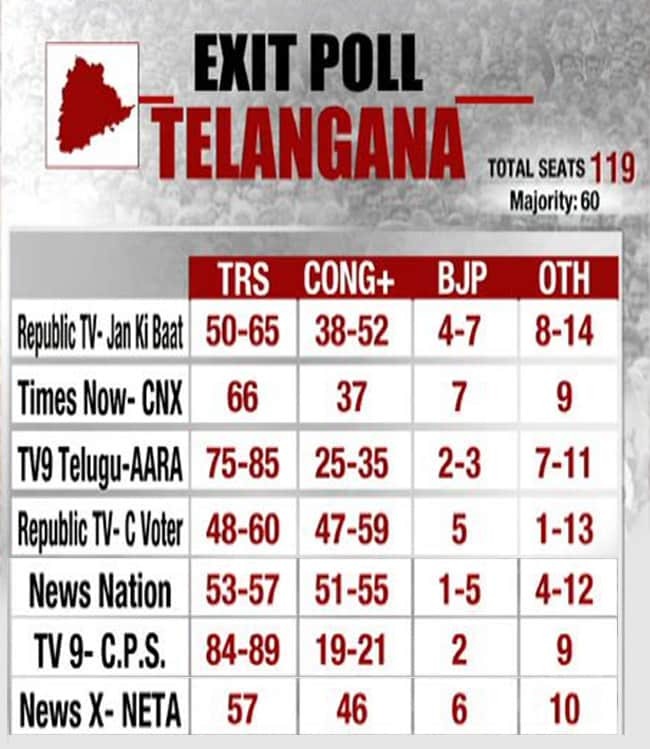 An aggregate of exit polls shows Chief Minister K Chandrashekar Rao's gambit of dissolving the state assembly way ahead of time paying off, with his Telangana Rashtra Samiti (TRS) party predicted to win 67 seats. The majority mark in the state is 60. The alliance of the Congress and Chandrababu Naidu's Telugu Desam Party (TDP) will win 39 seats, while the BJP will win five, the exit polls predicted. The assembly election in Telangana was to be held in the middle of 2019, but KCR, as the chief minister is popularly known, dissolved the state assembly prematurely, pushing forward the election to the end of the year. 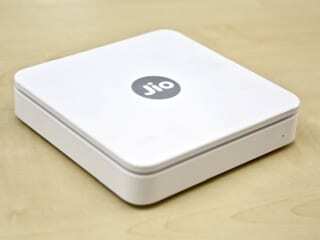 While Mr Rao is looking for a second term in the state, the election is the first major test for the Congress-TDP alliance, with Rahul Gandhi and Chandrababu Naidu trying to stitch together a united front to take on the BJP in the 2019 general elections. Despite most exit polls predicting a majority for the TRS, the Congress and the TDP met state Governor ESL Narasimhan on Monday and requested that in case of a split verdict, they be given the first chance to form the government. 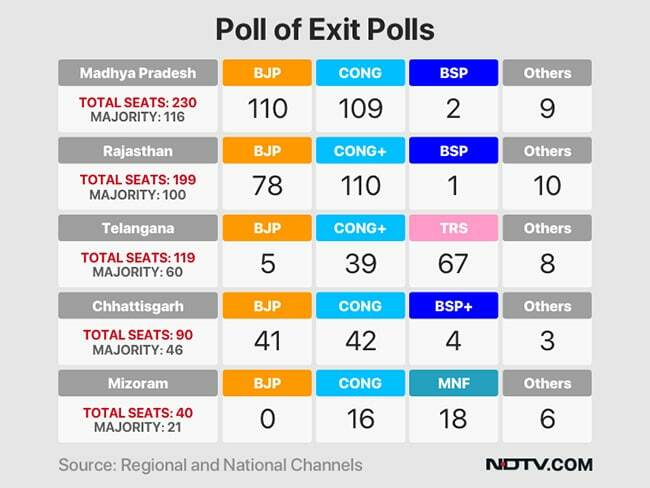 Despite having Prime Minister Narendra Modi, party chief Amit Shah and Uttar Pradesh Chief Minister Yogi Adityanath on its roster of star campaigners in Telangana, exit polls showed the BJP winning only five seats in the state. State BJP leader K Laxman had made an overture to Mr Rao over an alliance, but it was shot down by the ruling party in the state. The leader was severely reprimanded by his party for the unauthorized offer. Asaduddin Owaisi's AIMIM, which was termed by the chief minister as a "friendly party", said it will stand by KCR in the polls.